As the Soccer World Cup fever continues across Brazil and around the world while in South Australia, a new and crazy game arrived and they called it “Bubble Sport”. I first experience this game, when my family went to Westfield Shopping Centre in Marion a couple of weeks ago while strolling around the shopping mall. 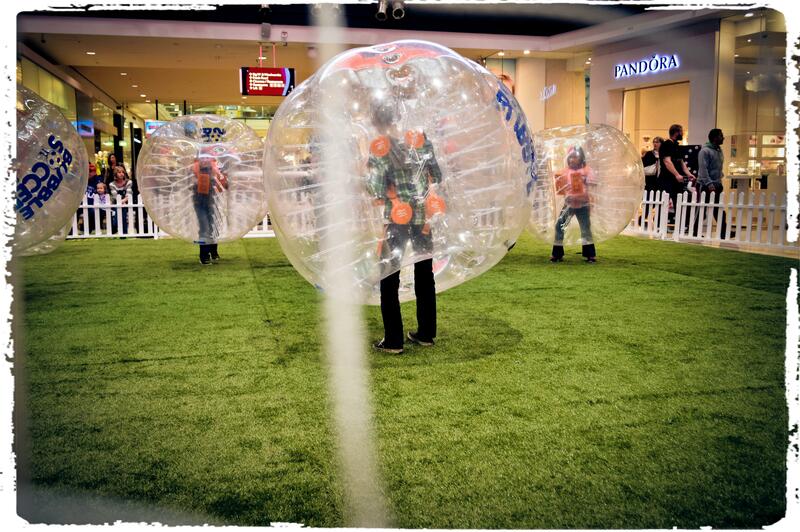 In Bubble Soccer ,Participants play in a giant inflatable bubble covering most of their body, allowing them to bounce, bump, flip and crash their way around the field. The Bubble Sport is a brainchild of Christies Beach friends Chris Firgaira and Dan Cairns after watched online clips of the bubble soccer craze and investing in 24 giant inflatable bubbles and hiring them out for events. You can check my photos at aMikothing.